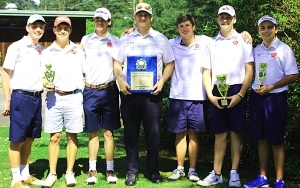 Dunwoody extended its win streak in the boys’ 2018 DCSD County Golf Championships, but a four-year reign atop the girls’ standings came to an end on Thursday at Mystery Valley Golf Course. 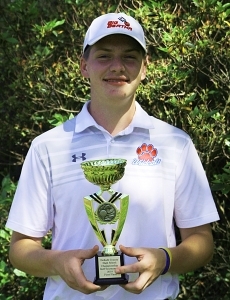 Coach Doug Friedlander’s Wildcats placed five golfers in the Top 10 led by 2018 medalist senior Nick Trembath who carded a 79 good for a three-stroke win over teammate junior Jack Kardasha (82). Dunwoody’s Nick Trembath shot the boys’ low score of 79. Dunwoody’s first four players put together a team total of 327 to outdistance Chamblee (363) and Lakeside (432) in the team standings. Dunwoody’s 10-yaear streak includes a three-hole playoff tie with Arabia Mountain in the 2014 championship. Dunwoody had a tie for third place as seniors Patrick Cociaccio and Elijah Dwoskin both shot 83 on the day. Senior Cole Pickering shot an 85 for fifth to round out the Wildcats Top 10 players. 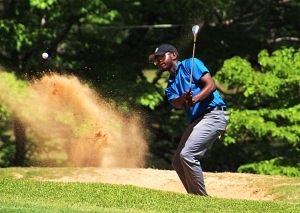 Arabia Mountain junior Torrence Allen shot 84 on the day to take fourth while senior Aaron Allen was sixth with an 86. Chamblee rounded out the Top 10 with a quartet of players led by senior Jimmy McClendon (89) followed by junior River Harper and senior Phil McCrery tied for eighth with 91s and sophomore Carson Cooper 10th with a 92. Coach Kurt Koeplin’s Bulldogs had finished third the past two seasons, but broke Lakeside’s nine-year run as the runner-up to Dunwoody. 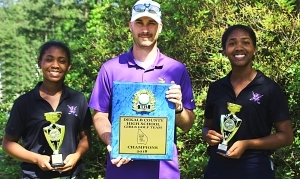 The girls’ championship went to a different team for the first time since 2013 as Coach Robert Bokelman’s Lady Vikings won a thrilling one-stroke, 191-192 victory over the Chamblee Lady Bulldogs to win the program’s first county championship since that 2013 season. Druid Hills had its highest finish of the tournament by taking third with a 247 total. 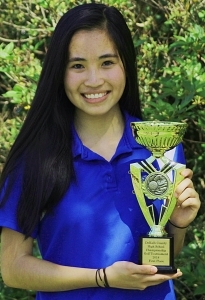 Chamblee’s Tiffany Li shots a girls’ low of 91 for medalist honors. Lakeside juniors Kaylee Cornelius (95) and Jayla Cornelius (96) finished second and third over in the individual standings to clinch the win for the Lady Vikings. Lithonia’s Kayla Humes putts her way to fifth place. tournament’s low score on the girls’ side with a 91 to take medalist honors. 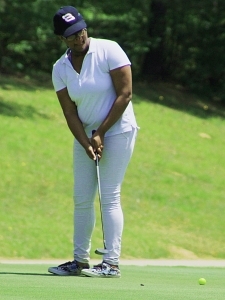 Junior Kristen Nwadike was fourth with a 101 total on the day. Lithonia junior Kayla Humes finished fifth with a 108 and Arabia Mountain’s Miracle Goolsby took home the final ribbon with her 111 in sixth. The rest of the Top 10 included a tie for eighth with Druid Hills sophomore Hailey Crosby and Redan senior Kameron Robinson, both with a 121. Druid Hills senior Cate Moore shot a 126 for 10th.